TV on the Seashore "The Drifted Memory"
The flea market holds memories for everyone. Objects laid aside after years of use, having already served their purpose, they await new possibility and new memories. 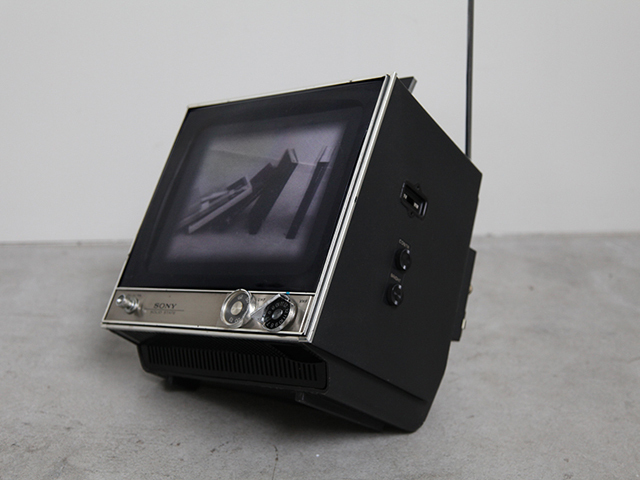 Ken Matsubara came across such items by chance one day, compact televisions produced in Japan but that had been long forgotten by most people. These were antiques from the 1980’s, the era of Made In Japan, when Japanese products held the world’s imagination, and Japan was at the apex of economic growth and vitality. These products reflected the pride of Japan’s craftsmanship and symbolized Japan’s economic prowess. From the 1960’s to the 1970’s, after the great war, Japan quickly became ‘Modernized’ and ‘Westernized’ . Japan pushed forward and achieved amazing economic growth on the back of products like automobiles, the vacuum tube television and electronics. By the time the 1980’s came around, Japan’s technological advancement had allowed them to start developing remarkable miniaturized products that were born from an ancient Japanese aesthetic sense. Small or miniature objects hold a special place in the hearts of many Japanese people. They feel as though they can see a small universe or their perfect society in them. Like in the finely crafted tools and cups for the Japanese tea ceremony, there is great universe to be found by looking at and pondering them. Even televisions, with the notion of attempting to visualize this product and create a new miniature universe, the Japanese could produce the world’s smallest television. However, as Japan’s technological and economic power went into decline these products were abandoned, thrown away and finally disappeared. Those old, compact televisions are a personification of Japan in that era. Seemingly, today, they appear to be headstones in the graveyard. Furthermore, they resemble the debris that washed up on the seashore after the earthquake and tsunami in Japan. As the generations continue, the same area stands to face the same fate that has struck them before in the same traumatic cycle. 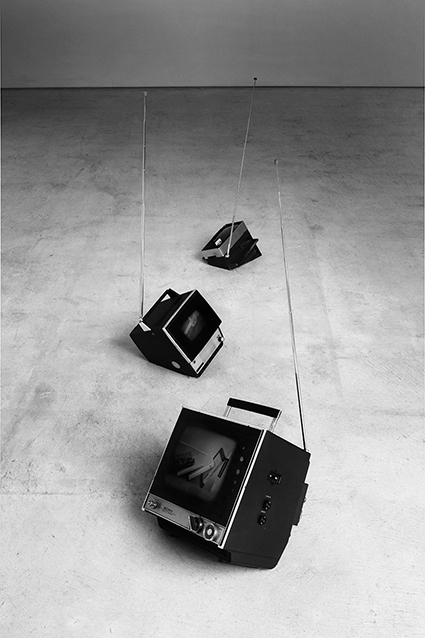 Matsubara uses the symbolism from the era of miniature televisions and the debris on the beach inside various televisions in this installation. In doing so, he reflects the tide of the times. "The Myth of Sisyphus" Albert Camus After considering ‘The Myth of Sisyphus’ where Sisyphus was condemned to pushing a boulder to the top of a mountain, only to have it roll down the other side and the action repeated by Sisyphus for eternity, Matsubara focused on the allegory of this tale and uses the same allegory in his video images as the “The Drifted Memory” in this installation.